Our 2018 air show season begins this morning, Saturday April 21st, and we are heading to Louisville, Kentucky for our first Thunder over Louisville Air Show and Fireworks display. The air show begins two weeks of events leading up to the annual Kentucky Derby Horse race. 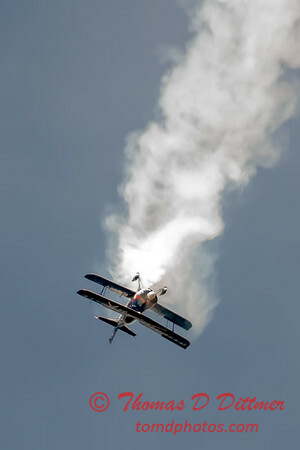 An early arrival to any air show is important to obtain the best seating position for viewing and photographing an airshow. 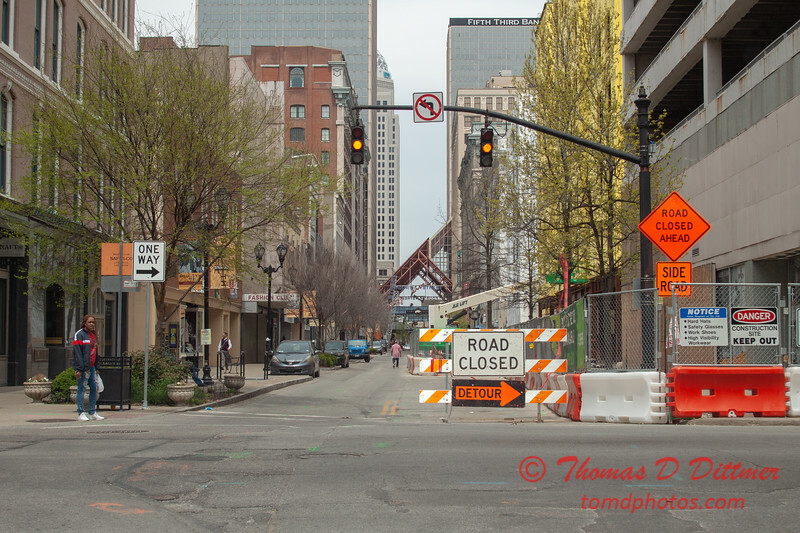 Louisville is no exception to this rule of thumb and we were plenty early for Thunder over Louisville. We arrived about 10:30 am, staked our spot and enjoyed a really nice day on the Ohio River. As the starting time approached, the shores began to fill with spectators in anticipation of the scheduled aviation performances. because the airshow was the very reason we were in Louisville in the first place. Duh! After baths and showers, we checked out and visited a restaurant with a breakfast buffet. Aubrey ate biscuits' n 'gravy and ate very well. 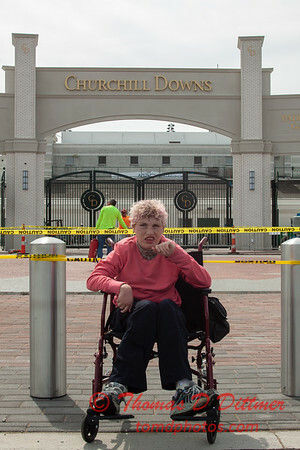 I had my meal and we headed for Churchill Downs. Turns out the race track is very close to downtown Louisville, which surprised me because the media coverage surrounding the Kentucky Derby implies the track is located on the outskirts of Louisville with a good bit of open land adjacent to the racetrack. Not so. The race track is located in a neighborhood of homes and somewhat narrow streets. Not at all what I thought it might be. 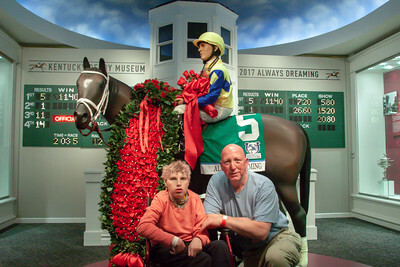 The Kentucky Derby Museum is next to the Churchill Downs Track but not a part of the track. The facilities are co-located but are not related entities. The guides in the museum did mention the muesum and the track work together though. After submitting our entrance fee, we were fitted with a wrist band allowing us to enter the museum, watch an IMAX 360 degree view movie, and a guided tour of the race track. I was hesitant about the fee, but once we explored the museum I felt no regret. 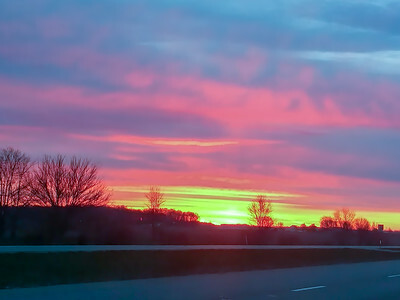 Even if you only entered the theatre and watched the movie, just the movie was worth the price of admission. 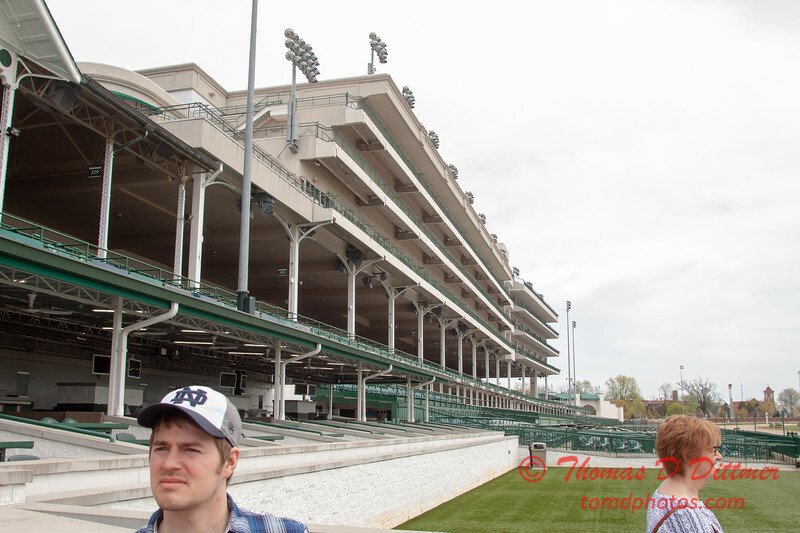 Churchill Downs and The Kentucky Derby are rich in tradition and history which might overwhelm anyone who stops to comtemplate their location and the event. 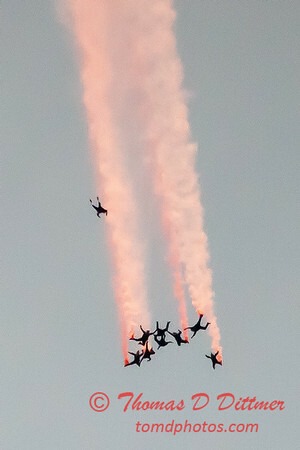 We visited the day after the air show and thirteen days prior to the race. Workers were busy preparing the track for the 144th Kentucky Derby to ensure the the track would be in pristine condition for the race. We enjoyed a very pleasant visit and might even attend the race at somepoint in the future.....who knows?